This is the second in a series of three posts by Harvard graduate student Yuan-Sen Ting. You can read the first post in the series here and the final post here. For more information and interactive demonstrations of the concepts discussed here, see the interactive online software module he developed for the Harvard AY201b course. In their original paper in 1965, Gunn and Peterson estimated how much absorption there should be in a quasar spectrum due to the amount of hydrogen in the Universe. The amount of absorption can be quantified by optical depth which is a measure of transparency. A higher optical depth indicates more absorption due to the neutral hydrogen. Since optical depth is proportional to the density of neutral hydrogen, and the transmitted flux ratio decreases exponentially with respect to the optical depth, even one neutral hydrogen atom in ten thousand hydrogen atoms will give rise to complete Lyα absorption. This complete absorption is known as the Gunn-Peterson trough. In order to explain the observation, they found that the neutral hydrogen density has to be five orders of magnitude smaller than expected. They came to the striking conclusion that most of the hydrogen in the intergalactic medium (IGM) exists in another form — ionized hydrogen. Lyman series absorptions occur when a ground state electron in a hydrogen atom jumps to a higher state. Ionized hydrogen has no electrons, so it does not absorb photons at Lyman wavelengths. Animation illustrating Gunn-Peterson trough formation. The continuum blueward of Lyman alpha is drastically absorbed as the neutral hydrogen density increases. From the interactive module. In the beginning of the Universe (z>1100), all matter is hot, ionized and strongly coupled to photons. In other words, the photons are being scattered all the time. The Universe is opaque. As the Universe expands and cools adiabatically, electrons become bound to protons and the Universe becomes neutral. With matter and radiation decoupled, the cosmic microwave background radiation (CMB) is free to propagate. At some point. the Universe gets “reionized” again and most neutral hydrogen becomes ionized. Sources of photoionizing photons slowly etch away at the remaining dense, neutral, filamentary hydrogen. Studying the Gunn-Peterson trough can tell us when reionization completed. The idea is simple. As we look at quasars further and further away, there should be a redshift where the quasar sources were emitting before reionization completed. 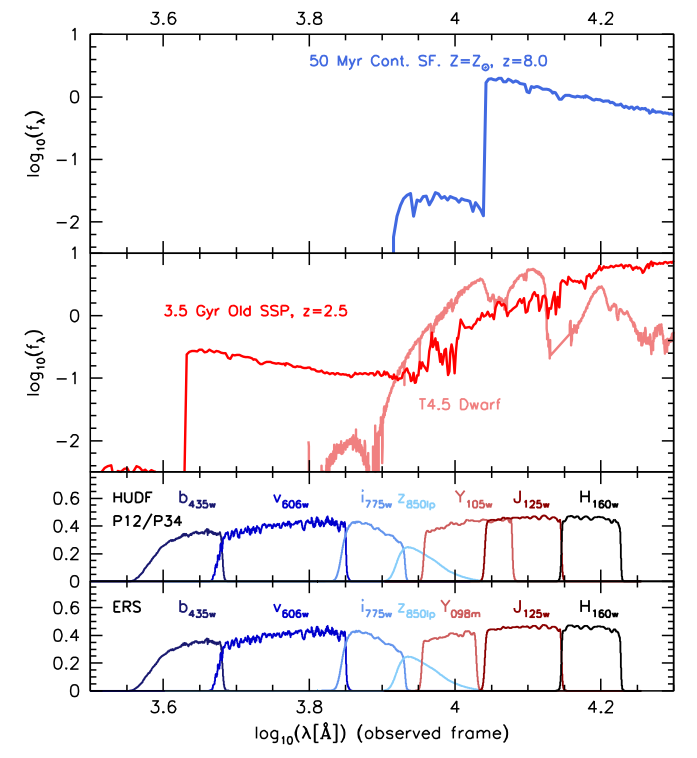 These quasar spectra should show Gunn-Peterson troughs. The first confirmed detection of the Gunn-Peterson trough (where the continuum goes to zero flux due to intervening absorbers), from a quasar beyond z=6, Adapted from Becker et al. (2001). Could this be due to the dense interstellar medium of a galaxy along the line of sight, rather than IGM absorbers? A few lines of evidence refute that idea. First, metal lines typically seen in galaxies (even in the early Universe) are not observed at the same redshift as the Lyman absorptions. Second, astronomers have corroborated this finding using several other quasars. We see these troughs not just at a few particular wavelengths in some quasar spectra (as you might expect for scattered galaxies), but rather the average optical depth steadily grows, versus a simple extrapolation of how it grows at low redshifts, starting at redshift of z~6 (see figure below). The rising optical depth is due to the neutral hydrogen fraction rising dramatically beyond z>6. A compilation of observations of quasar optical depth at different wavelengths as a function of redshift. The observed optical depth exceeds the predicted trend (solid line), suggesting reionization. Adapted from Fan et al. (2006). But it’s important to note that, because even a very small amount of neutral hydrogen can produce the Gunn-Peterson trough, this observational feature saturates very quickly and becomes insensitive to higher densities. That means that this technique mostly probes the later stages of cosmic reionization. To push back further in time, we can look at lines with smaller characteristic optical depths, like the Lyman β and γ lines. But these are closely spaced in wavelength, and can be hard to disentangle in observed spectra. Gunn and Peterson told us not only how to probe the end of reionzation through the Gunn-Peterson trough, but also how to probe the early stages of reionization using the polarization of the cosmic microwave background radiation. They discussed the following scenario: if the Universe starts to be reionized at certain time, then beyond this, the background distant light sources should experience Thomson scattering. Thomson scattering is the scattering between free electrons and photons, and this process polarizes light. That means we’re now concerned with light interacting with the ionized fraction of hydrogen, not the neutral fraction. The CMB polarization detection by Wilkinson Microwave Anisotropy Probe (WMAP) space telescope suggests a significant ionization fraction extending to much earlier in the cosmic history, with z∼11±3 (see figure below). This implies that reionization is a process which starts at some point between z=8–14 and ends at z=6–8. This means that cosmic reionization appears to be quite extended in time. This is in contrast to recombination, when electrons became bound to protons, which occurred over a very narrow range in time (z=1089±1). 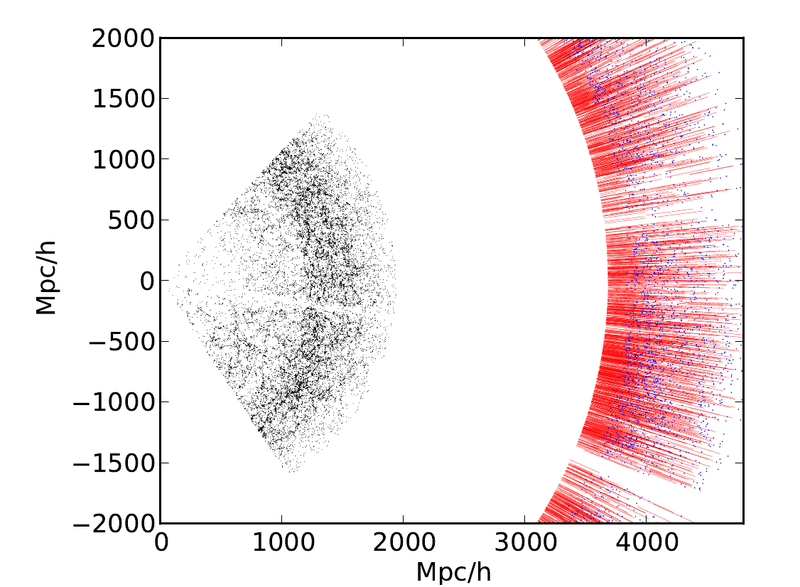 The neutral fraction of the IGM versus redshift measured using various techniques, including CMB polarization and Gunn-Peterson troughs. To see the exciting conclusion to this story, continue on to the third and final post in the series.